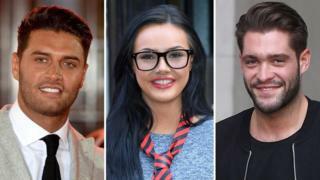 A number of reality stars have spoken out in the wake of his death, including TOWIE's Mario Falcone, who said "Love Island have got to open their eyes" and former contestant Zara Holland, who added the show left her anxious and depressed two years on. ITV, which broadcasts Love Island, has promised to provide more support in the wake of Thalassitis's death. In a statement, the broadcaster said it would "extend support processes to offer therapy to all Islanders and not only those that reach out to us. "We will be delivering bespoke training to all future Islanders to include social media and financial management." "People are angry and they want someone to blame," she told The Sun. "Mike was in turmoil and a lot of his problems weren't to do with Love Island at all." Speaking on BBC Radio 5 Live breakfast, he said: "I'm not here to discredit the show but one of my friends has died so I'm here to tell the absolute truth. "As far as aftercare goes.. when I came off the show I was trolled ridiculous amounts, as a lot of people were, but I had a particularly bad time of it. "The only time I ever had a call off that show offering any kind of counselling or help was yesterday [the day after Thalassitis's death]. "Obviously after Mike died and they've said 'If you need to talk to anyone…' and to be honest I found it almost quite laughable. "I just thought: 'How am I getting this phone call now? This is too little too late.'" However, a contestant on last year's Love Island, Adam Collard, praised the team behind the show, saying they "really have your best interests at heart". The 23-year-old says that before appearing, he had a psychiatric assessment and spoke to a doctor, describing it as a "thorough process". "I know they obviously want to make good TV but the main priority is always looking after you," he tells BBC News. "When I left the villa the chaperone I lived with the week before I went in came to see me and we became good friends. "Even when I broke up with my girlfriend, who I met on the show, I think I got a text or phone call from every single one of [the Love Island] team, including the runners and producers." "I knew from day one that everyone was going to have their back up with me," he explains. "They [the producers] sat me down and said 'how are you with pressure, because you are not going to look the best in the situation you're going into, but if you can handle it, it will be a very good storyline for you'". When he left the villa, he was then informed of the public reaction to him by the press team, so he would be "prepared" for every possible situation. "PAs are very heavy, but at the same time I was asked on multiple occasions [by my management] how much I could do per week. "Everything was presented as a job offer and nothing was forced on me really." Love Island isn't the only reality show to have faced scrutiny for the treatment of cast members. She told Radio 1 Newsbeat that she felt "trapped" on the show and her requests for help were overlooked. "I just felt very neglected. I didn't feel like I could talk to anyone about it because the schedule was so tight there was no time. "I brought up a few times that I needed to speak to someone because I was losing my head a little bit but I was very rarely granted that chance." Joanna Leeson, whose all-female talent agency represents Geordie Shore's Sophie Kasaei and Love Island's Kady McDermott, says she prioritises her clients' mental health and financial situations to make sure they don't feel stressed or overwhelmed. Leeson says she has always been happy with the way Kasaei has been treated by Geordie Shore, and says when things get a bit hectic it's something they "are able to identify" to ensure "there's not too much pressure on the client". "We check in with the girls daily and as an agency we have regular contact with the TV production companies - when Sophie is filming Geordie Shore we speak to them a handful of times a day," Leeson says. "If we are ever concerned about our girls we reach out to check if everything's OK."
In light of Love Island's promise to help its contestants with financial advice, Joanna says this is something her agency already does. "When we take on every girl, we sit down and go through everything they need to know - to live, to pay their bills and we make sure as agents that we actively go out and achieve our targets to make sure they don't have any financial stress." Collard says that, while he felt he had a "realistic understanding" of the pressures involved, the sudden fame still takes its toll. "[The tours] are a lot of pressure and it's quite a lonely time too," he says. "You're jumping from city to city and 3,000 people are watching you and then you're back to your hotel room by yourself." Collard adds that having that lifestyle can be difficult, but "doesn't think anyone's to blame" for the burnout reality stars can feel. He adds that "there is a stereotype with young men especially, who feel like they can't speak to anyone". "The girls [from Love Island] are very supportive of one another, they comment on each other's pictures on Instagram and big each other up - it's quite nice. "But you rarely see the boys do that, it's like you've almost got too much pride to speak out because you think 'oh well I shouldn't be feeling like this, I've got all this fame and money, why should I feel down?'"